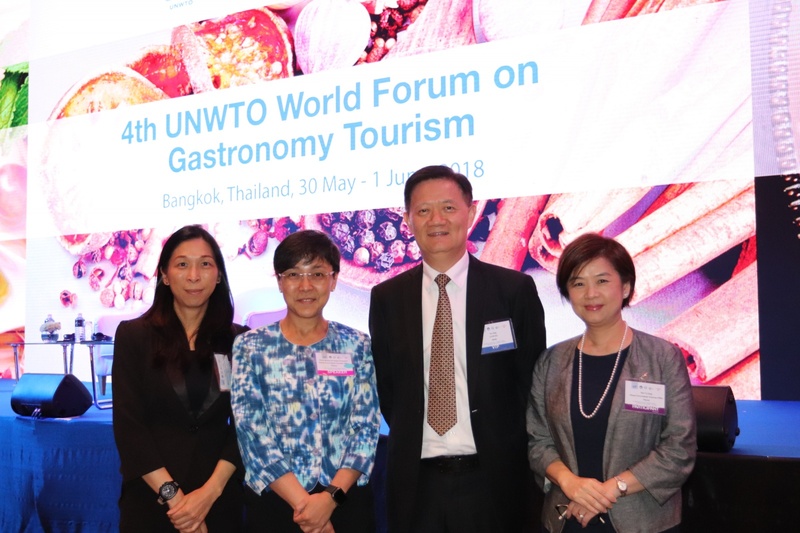 Macao Government Tourism Office (MGTO) is attending the 4th World Tourism Organization (UNWTO) World Forum on Gastronomy Tourism that opened today (May 30) in Bangkok, Thailand. Gathering leading experts in tourism and gastronomy from around the world, this year’s edition specially focuses on harnessing the power of technology as a driver for the sustainable growth of gastronomy tourism. MGTO Director, Maria Helena de Senna Fernandes, is one of the guest speakers of the event, this year held in Asia for the first time. 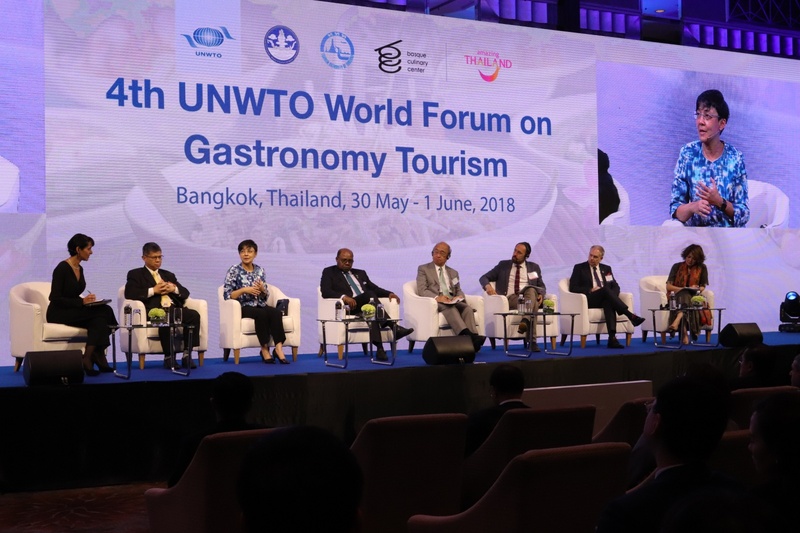 Running until June 1 at the Thai capital, the forum attracted 730 participants representing government and private sectors in the field of tourism, gastronomy and technology, coming from 35 countries and regions. Under the theme “Harnessing the Power of Technology and New Value Propositions as Drivers for a Positive Global Impact”, the forum was launched with remarks by UNWTO Secretary General, Zurab Pololikashvili, the Minister of Tourism and Sports of Thailand, Weerasak Kowsurat, among other officials. MGTO Director joined a High Level Round Table that followed the opening ceremony this morning. Under discussion at the round table were topics such as how destinations are leveraging gastronomy tourism to foster sustainable tourism development and competitiveness. 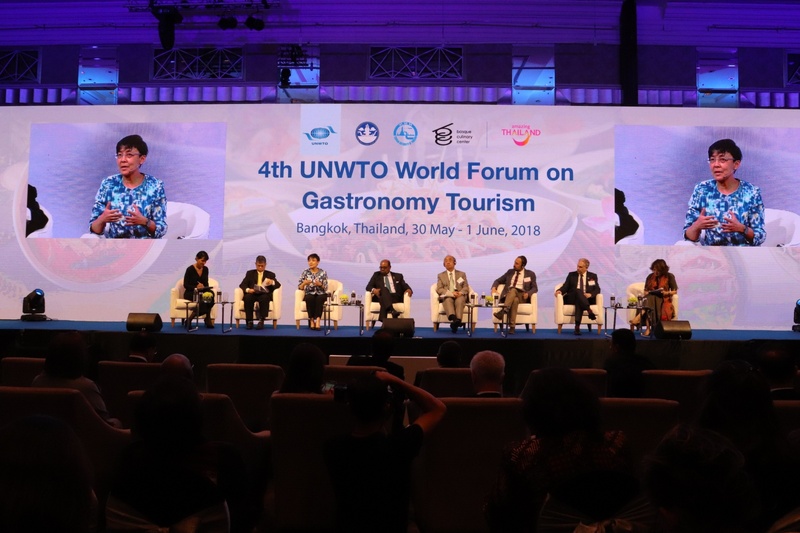 The panelists were also invited to share innovative initiatives and areas of opportunity, particularly in technology, to unlock potential and address challenges in gastronomy tourism, as well as to give their perspectives on gastronomy tourism as a contributor to advance the United Nations’ Sustainable Development Goals, and more. During the High Level Round Table discussion, Maria Helena de Senna Fernandes shared Macao's experience in developing gastronomy tourism, highlighting the plans as a newly designated UNESCO Creative City of Gastronomy, in smart tourism, and other projects aiming for a sustainable development, as the destination paves the way to transform itself into a world centre of tourism and leisure. The round table panelists also included: Deputy Governor for Policy and Planning of the Tourism Authority of Thailand, Chattan Kunjara Na Ayudhya; Minister of Tourism of Jamaica, Edmund Bartlett; Governor of Nara Prefecture, Japan, Shogo Arai; along with the Chief Executive Officer of PATA, Mario Hardy, among others. Organized by the Government of Thailand and UNWTO, in collaboration with the Basque Culinary Center, the three-day event includes several presentations and working sessions, on topics such as Meeting the Needs of Gastronomy Tourists Using Big Data and Analytics, Destination Promotion through Gastronomy, the unveiling of a report on gastronomy tourism analyzing the case of Japan, among others. The forum is also presenting workshops led by start-ups and food tours to learn about Thai food cultural heritage and the deploy of technology in gastronomy tourism. Previous editions of the forum were twice held in San Sebastián in Spain, and in Lima, Peru.